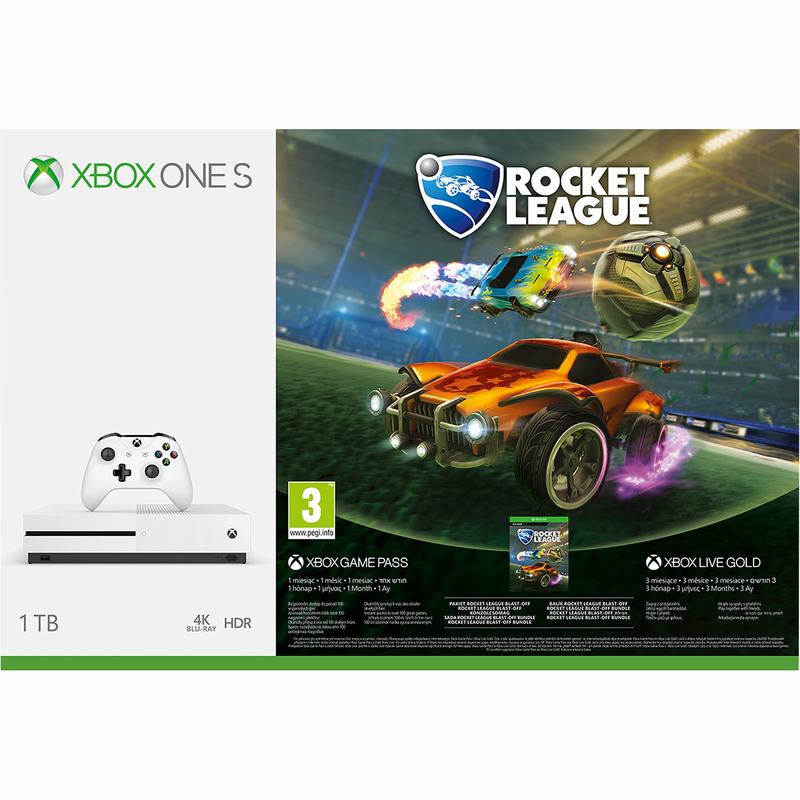 Own the Xbox One S Rocket League Blast-Off Bundle (1TB), featuring a full-game download of the award-winning Rocket League. Choose from a variety of high-flying vehicles equipped with huge rocket boosters to score amazing aerial goals and pull off incredible, game-changing saves Take on the single-player challenge in Season Mode or join in 8-player online competition and 4-player split-screen action. You also get 3 months of Xbox Live Gold so you can play your favorite games online with friends and get free games each month plus deep Xbox Store discounts on games, add-ons, and more. 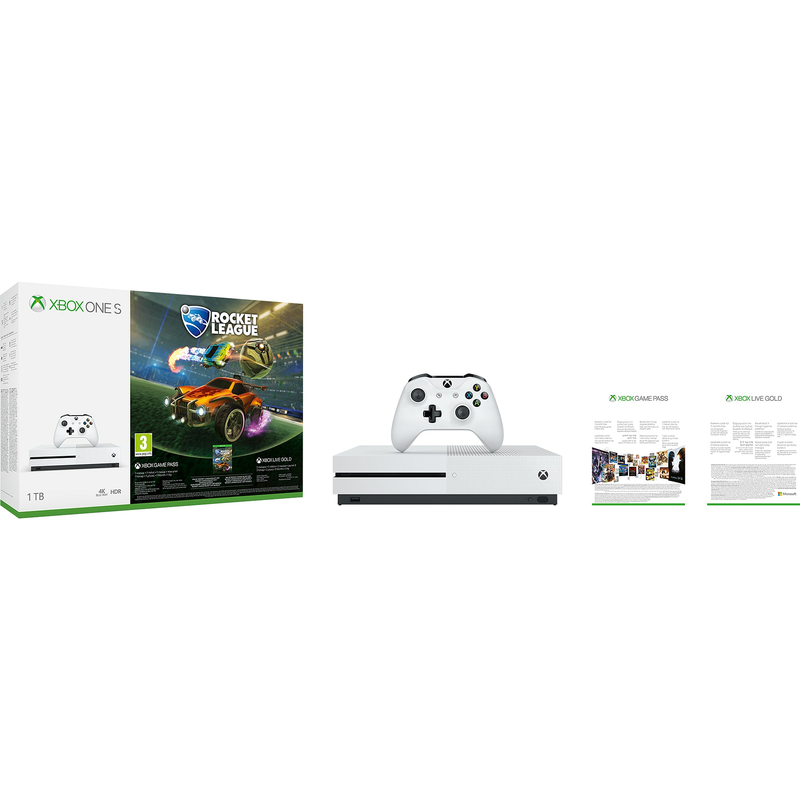 In this bundle, you also get instant access to over 100 great games with a 1 month Xbox Game Pass trial, Ultra HD Blu-ray™, 4K video streaming, High Dynamic Range, premium audio, and an Xbox Wireless Controller. Whether you’re playing with friends and family, watching your favourite shows or streaming gameplay, there’s never been a better time to game with Xbox One.